'Glee' star Lea Michele turned heads in a very short, green, silky dress with an extremely daring plunging neckline at the FOX Upfronts presentation at The Beacon Theater in New York. 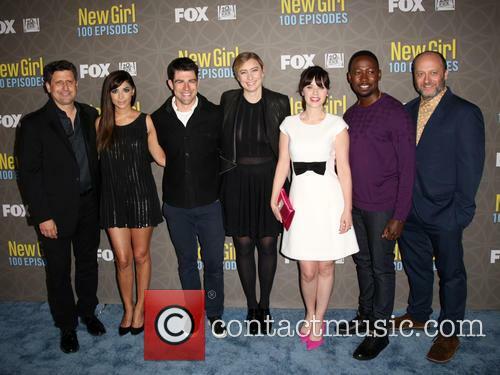 The cast of American sitcom 'New Girl' including Hannah Simone, Lamorne Morris, Damon Wayans Jr. and Jake Johnson hit the blue carpet at 2014 FOX Network Upfront presentation which took place at The Beacon Theater in New York. Main star Zooey Deschanel was also present at the event. Prince's full length duet with Zooey Deschanel is available online. The 'Purple Rain' singer appeared on Deschanel's comedy 'New Girl' and recorded a single with Deschanel's quirky character Jess. Prince and Zooey Deschanel - in the guise of New Girl's Jess - have released their full duet 'FALLINLOVE2NIGHT' from a February episode of the hit comedy. 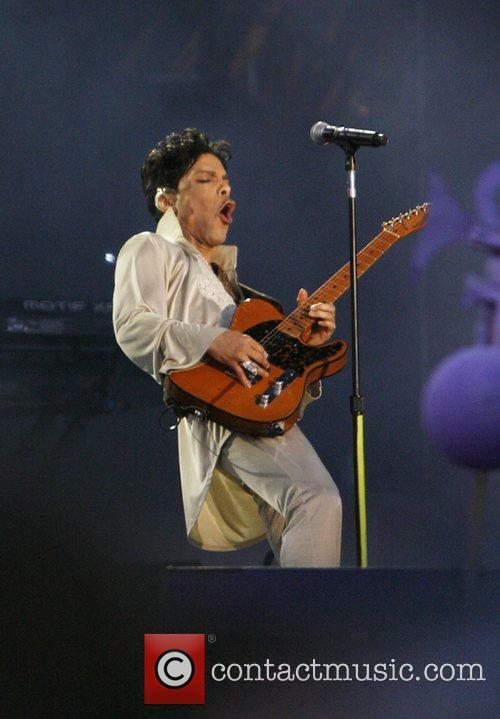 Prince performing in Kent at the Hop Farm Festival in 2011. The episode, broadcast after the Super Bowl, was watched by 25.8 million viewers, according to The L.A. Times. Prince and Deschanel's performance of the upbeat 'FALLINLOVE2NIGHT' proved so popular a number of petitions were created requesting the song be released as a single. Prince and his band, 3RDEYEGIRL were happy to obliged and released a full length version of their duet on Friday (15th March). Check out the new set photo from Prince's 'New Girl' Cameo! 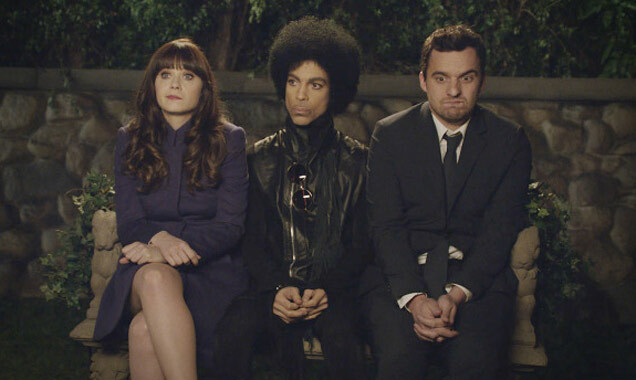 Not long after we first heard Prince would be making his debut cameo in an episode of Fox comedy New Girl, we've already been gifted with the first on-set snap showing The Purple One looking cool yet solemn squeezed in between Zooey Deschanel's Jess and Jake Johnson's Nick on a stone bench. 'New Girl' Super Fan Prince Will Make His Debut Cameo In The Comedy After The Super Bowl. A raspberry beret would have made an excellent addition to Jess' quirky and preppy wardrobe but there seems to be no sign of one in the shot. Instead, the actress in clad in a grape-coloured coat, with Prince in black leather and Nick strangely wearing a black suit and tie. Among the biggest stars at the 2013 Fox Upfront Presentation in New York City's Woolman Rink were 'The X Factor USA' judges Demi Lovato and Simon Cowell, who seemed to be enjoying each other's company outside of work with Demi making a bunny ears sign above Si-Co's head; 'New Girl' actress Zooey Deschanel, who was positively beaming as she posed in a black sequined jacket and sticky-out skirt; and Alexis Bledel from 'Gilmore Girls' accompanied by 'Parenthood' star Jason Ritter.